National broadcaster recalibrates religion as 'search for meaning' to attract viewers and listeners who might be averse to 'religion'. Religious programming is not in decline the Genre Head of RTÉ Religious Programmes has stated. Speaking as RTÉ unveiled what it described as an ‘enhanced’ religious programming output for the autumn/winter season, he said religious programming is doing fine in terms of ratings. The autumn schedule includes a series of documentaries, Once in a Lifetime, the return of Joe Duffy’s Spirit Level and Bláthnaid ní Chofaigh’s Moment of Truth and a nightly one minute ‘Iwitness’ reflection. On radio, the national broadcaster will broadcast three hours of religious and spiritual programming, hosted by Michael Comy, from 10am to 1pm every Sunday morning beginning 2 November 2014. Mr Childs said they are trying to “recalibrate” what people think of as religious programmes by making it a “search for meaning”. The flagship documentary series Once in a Lifetime begins on Thursday 30 October 2014. 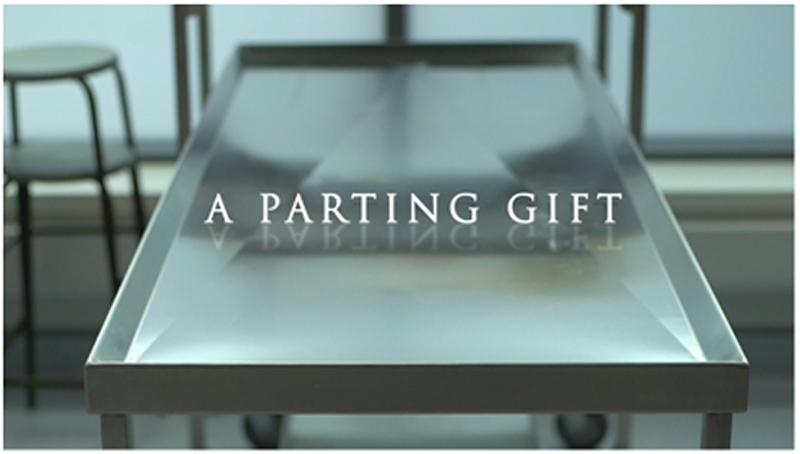 The two part ‘A Parting Gift’ secures unprecedented access to tell the story of the Body Donation Programme at Trinity College, Dublin. Filmed over 18 months, it focuses on ‘the gift’ of body donation: an act of great generosity that contributes to world-class medical education, research and scientific endeavour. “The documentaries encompass science and medical history, cultural attitudes towards death and bereavement and the big questions of mortality and spirituality,” say producers Loosehorse Television. The third documentary in the Once in a Lifetime season is presented by well known comedian, Ardal O’Hanlon, and entitled Guess who’s dead. In the documentary, which will be screened on Thursday 13 November, Ardal explores the changing life of the Irish death notice: a simple calling card for family, friends and communal mourning. ‘One Million Dubliners’ – winner of the Best Documentary Feature prize at this year’s Galway Film Fleadh – will be the final documentary in the series on 20 November 2014. This deeply moving one and a half hour film explores the life stories – and death stories – surrounding Ireland’s largest and most famous resting place, Glasnevin Cemetery, through the eyes and experience of some of the people most closely connected with the place. Joe Duffy’s Spirit Level returns for a series of six programmes, reflecting on religion, spirituality and ethics in today’s Ireland, through a mixture of conversation, interviews, features and music. To fit in with the Once in a Lifetime season, the first programme explores contemporary beliefs about, and attitudes towards, death and the afterlife. “Every plot has a story,” is its slugline. On digital radio, RTÉ 1 Radio Extra, Sunday Spirit will provide listeners with three hours of religious and spiritual programming, hosted by Michael Comy, from 10am to 1pm every Sunday morning beginning 2nd November 2014. The programmes will also be available on Longwave 252. Sunday Spirit will have a a rich mixture of conversation, music, reflections, religious current affairs, features and archive, built around the centre-piece of Sunday morning Masses and Services. Each week it will include the BBC’s world service ‘Heart and Soul’ and a podcast of ‘Things Unseen’ also providing international faith content. Five years ago, St Mel’s Cathedral, Longford burnt to the ground. This Christmas, the cathedral will be re-inaugurated on Christmas Eve. RTÉ will broadcast on television the celebration at 11pm on Christmas Eve and then return for a special Eurovision Mass at 10am on Christmas morning, which will be seen in at least five countries across Europe. The television station will also mark major festivals of Ireland’s minority faith communities, like a programme on the Muslim month of Ashura which will be screened on Sunday 2 November at 5.45pm. Programmes in the pipeline for 2015 include a documentary on Pope Francis and on St Columbanus, presented by former president Mary McAleese.